If there is one sport India is crazy about, it its cricket. Be it cheering the national team or cheering for your city’s franchise, in the IPL, there isn’t a sport on the planet that captures the nation’s imagination like cricket. It’s not just the game; Indians love their cricketers as well, including some illustrious captains. Cartoq takes a look at the rides of the men that have been the guiding light for Indian cricket over the past four decades, and have bought two world cups to India. Sunil Gavaskar was the original little master. He dominated the fearsome West Indian pace attack without a helmet when others around him fell like nine pins. Sunny was the first person in the world to make 10,000 runs in Test cricket, and he can be found these days in the commentator’s box critiquing matches and modern cricketers. 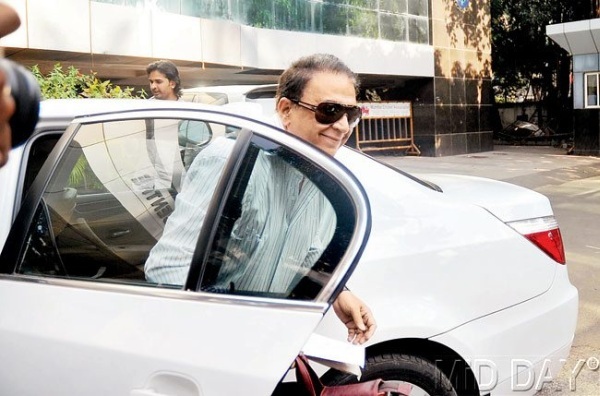 So what does this former test captain of the Indian cricket team and 34th president for the BCCI use to commute? The answer is an E60 BMW 5-Series. Yes, the one designed by Chris Bangle. Kapil Dev led the Indian team that lifted the World Cup for the very first time, in 1983, beating the all-conquering two-time defending champions, the West Indies Cricket Team, at Lords. Kapil Dev is perhaps the best all-rounder to have ever played for India and he once held the record for the most wickets taken in a test career at 434, before it was broken by Courtney Walsh in the year 2000. His innings of 175 against Zimbabwe in the 1983 World cup showed the world how destructive he could be with the bat, and his brilliant catch to dismiss Vivian Richards during the final is something people who watched that final still remember with fondness. Kapil ride of choice is a first-generation Panamera, the first-ever four-door luxury sedan from German sports car maker Porsche. Prices for the four-door Porsche Panamera sedan start at Rs 1.16 crore. 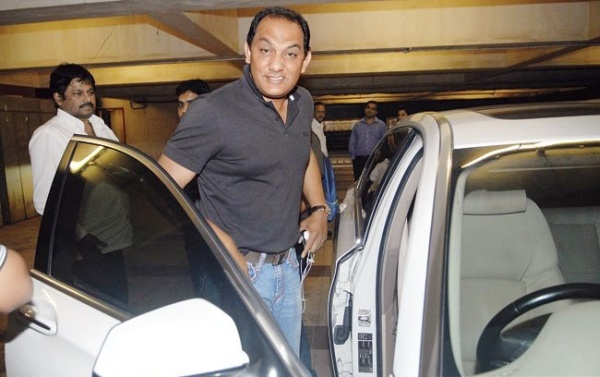 Mohammed Azharuddin was one of India’s most popular and successful captains in both test and one-day matches. With his collar turned up, the stylish batsman from Hyderabad captured the hearts of the cricket fans with his elegant strokes. Unfortunately, he was forced out of cricket after being implicated and convicted in the infamous match-fixing scandal in 2000. 13 years later and aged 49, Azhar saw his ban overturned by the Andhra Pradesh High Court. He joined politics with the Congress party and was a member of Parliament from 2009 to 2014. The former MP now drives around in two BMW cars, a 5-series sedan and a 650i coupe. Azhar also owns a Honda CR-V SUV. Considered to be the God of cricket, Sachin Ramesh Tendulkar, is now an MP. However during his playing days, in a career spanning over 24 years, 200 tests and 463 One Day Internationals (ODI), Sachin amassed a total of 34,357 runs and 100 international hundreds. Considered by many as the best batsman after Bradman to have stepped foot on to the crease, Sachin holds the record for the most number of runs scored in both test and ODI matches and was the first man to score a double hundred in a one day match. Sachin finally achieved his goal of winning a World Cup in 2011, when Dhoni sent the ball into orbit over Wankhede. His car collection has been one that has always been in the public eye and currently includes a Nissan GT-R, numerous BMWs including an i8 supercar and the M5 seen above, along with a Porsche Boxster, and a Mercedes C63 AMG among others. Saurav Chandi Ganguly is the captain that made India believe that it could win big tournaments, test and ODIs again. The aggressive batting style of the Prince of Calcutta reflected in his captaincy and he used it to his advantage forcing Steve Waugh’s all-conquering side of 2001 to forget about the final frontier. He also led India to the finals of the 2003 World Cup in South Africa. 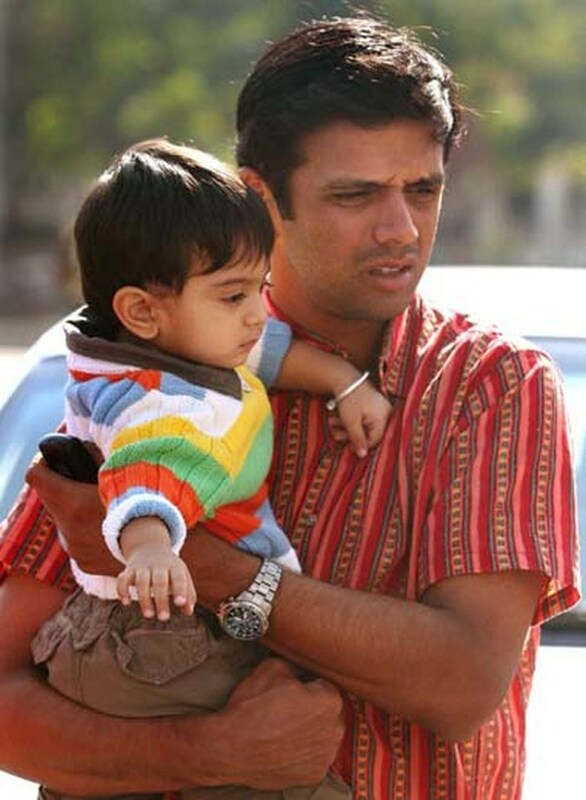 Ganguly grew up in a massive house in Kolkata with his extended family. The palatial family home features 48 rooms and a fleet of 32 cars. 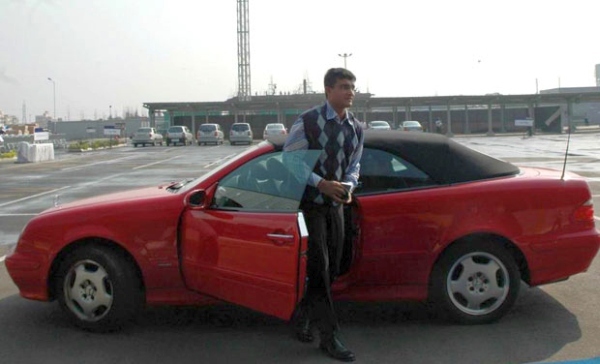 However, Ganguly, who now works mainly as a commentator can be seen in a Mercedes CLK or a Ford Endeavour. 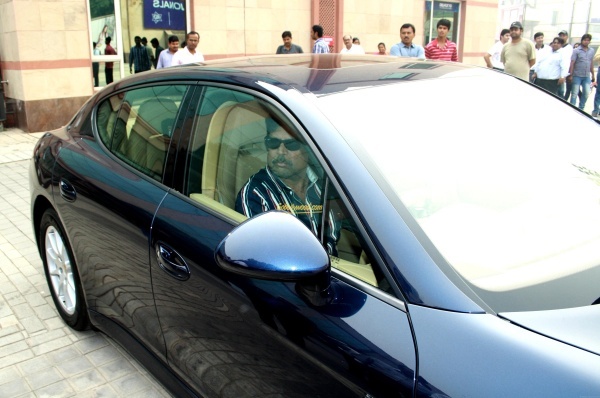 Dada, as he’s affectionately called by his fans, has usually been spotted in his two daily rides – a Honda City ZX and a C-Class convertible seen above. The cricketer they called the Wall for his impregnable defensive technique captained India after Ganguly fell out with Greg Chappell. Like his performance off the field, his performance on it saw Stokes join in on some T20 fun. 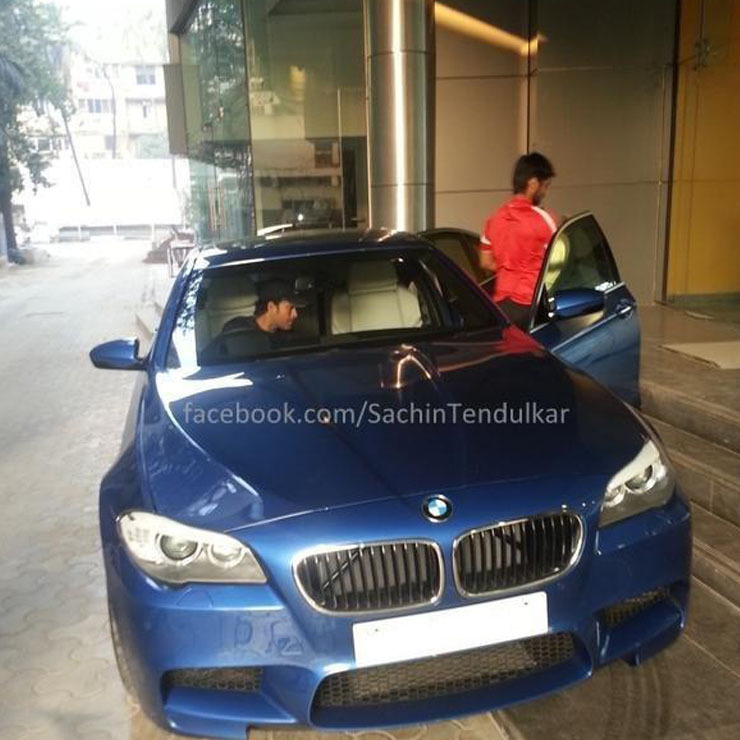 His daily rides, an Audi Q5 luxury SUV and a BMW 5-Series luxury sedan, are both known for their space inside. Jumbo, the former coach of the Indian cricket team, is the second man to takes 10 wickets in a game of test cricket. Kumble is mobbed by fans wherever he goes. While still interested in cricket, Jumbo can be seen clicking images of birds in their natural habitat. 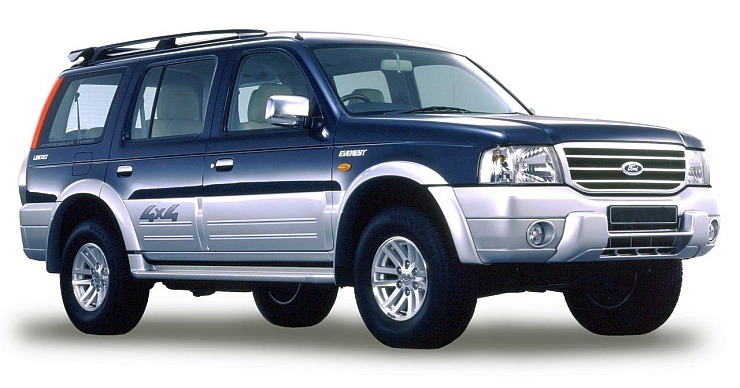 Kumble’s small fleet of cars includes a Ford Endeavour and a Mercedes E-EClass. Virender Sehwag was the first Indian batsman to hit 300 runs in a single innings of a test match. 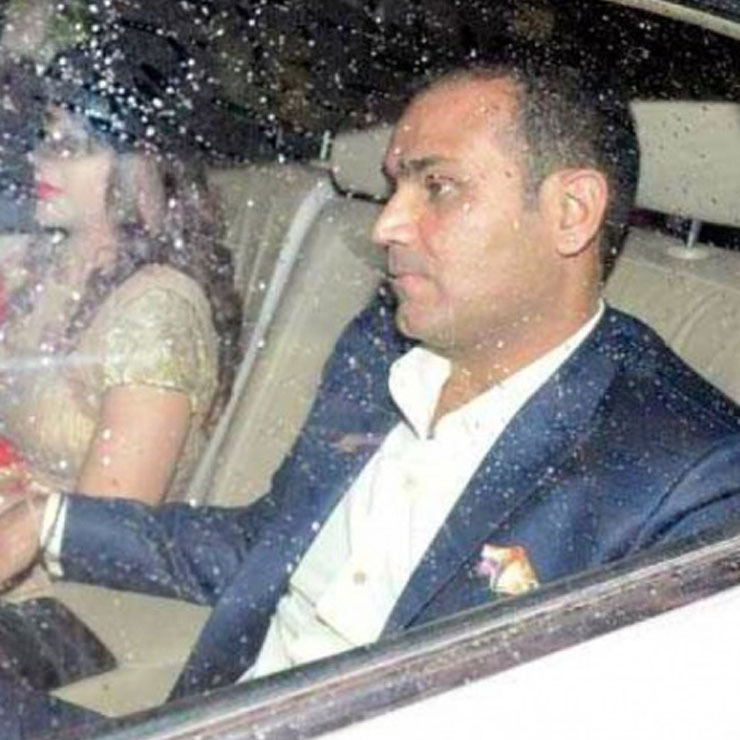 Known for his swashbuckling style of playing on the pitch, Sehwag has a good collection of cars to travel in when he’s not trolling everyone on Twitter. His car collection includes the Bentley Continental Flying Spur, four-door version of the Continental GT, which is where his bodyguards prefer him to be. MS Dhoni bought the World Cup back to India when he gave the Sri Lankan bowling attack a proper hiding in the final. 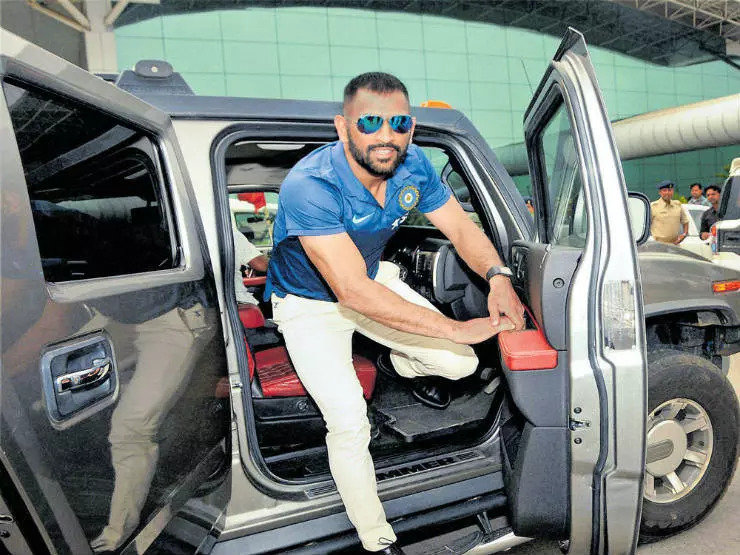 Better known for his bike collection, Dhoni’s collection of cars include the Hummer H2, Mahindra Scorpio, a GMC Sierra, a Land Rover Freelander2, an Audi Q7 and the Mitsubishi Pajero SFX. Dhoni also has a 599 GTO supercar, which he uses from time to time but his daily rides include the Toyota Corolla and the Maruti Suzuki SX4. India’s current man in charge is known for his fiery temperament on the field. The Audi R8 V10 is just the car that suits Kohli’s temperament. 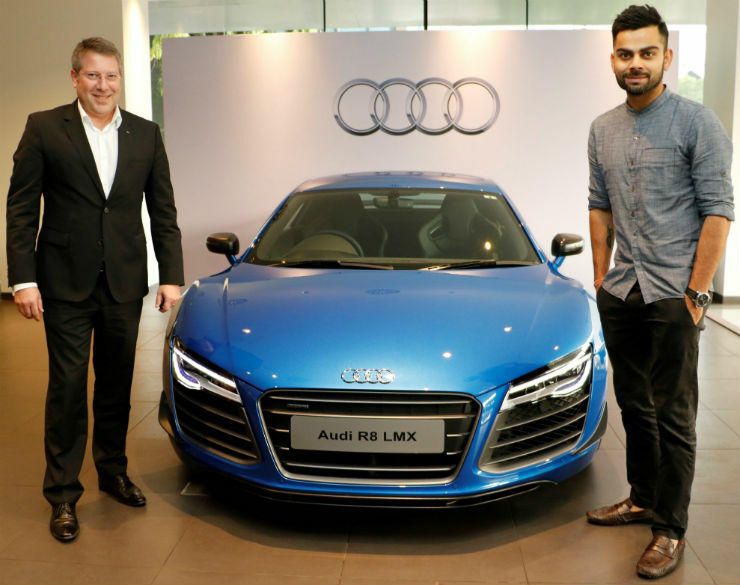 Kohli’s R8 though is a rather special one and is part of Audi’s LMX branded supercars. Other exotics in Kohli’s garage include the Audi A6 sedan while the cars he uses regularly include the Toyota Fortuner and the Audi Q7.